If your workout remains the same for too long, you’re missing out. Your body gets used to repetitive exercise, and it doesn’t gain muscle the way it should when you begin your training. You end up with diminished returns, which is to say that the energy you exert is not equal to what you get for that time and effort. There are a few ways to go about, but the idea is to give your muscles a bit of shock by asking them to do something they aren’t used to doing. Some people get around this by switching which parts of the body are worked on which days. Another option is to change which exercises you use for a particular part of the body. Legs are an easy example because there are so many ways to strengthen your legs. You might go for a jog one day, leg weights another and squats at the end of your week. Creating a framework for your routine that changes consistently is key in avoiding the exercise rut. Through trial and error, you find which exercises work for you. That gives you more options to add to your repertoire which ultimately reduces the chances of you suffering from a rut. 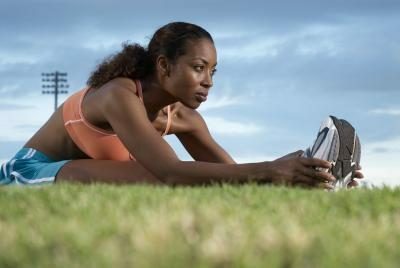 Adding increased weight to your warm up session, doing forced reps or practicing the rest-pause technique can help. Once you’ve found some options that work for you, save them until you start to plateau. Using those other exercises will help you get over that hurdle much faster than adding more weight.